A national non-profit organization had been partnering with an outside consulting vendor to provide their Total Rewards communications, including their Open Enrollment campaign and messaging. However, after reviewing the spend for the activities and results the vendor provided, it was clear that the spend did not equal the investment. To accomplish these goals, the company outlined all of the messaging being handled by their vendor, outlined the costs associated with each message and then we connected the investment to the results for the prior two years. While they had complete campaigns, their email open rates and other metrics were well below industry norms and they were still struggling with getting employees to take certain actions such as enrolling in new HSA accounts or completing wellness activities. 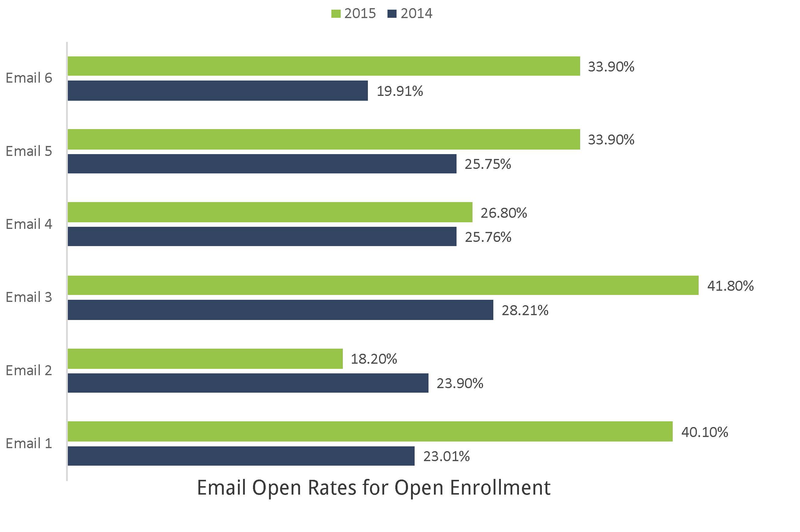 For open enrollment to be successful, the company had to plan around their unique culture, employee population and around their current technology pitfalls. A tall order, but one we were able to work with and deliver outstanding results. The first step to decrease Open Enrollment spend, while increasing results was to conduct a complete inventory of all of the campaigns, messages and metrics that had been created during the previous year. There were previously no metrics in place – so outcomes and needs had to be determined. Once the measurements were in place, we were able to create an ROI for each campaign – evaluating the need and response from the employee population. Using the ROI model for each campaign, we were able to pinpoint what what working well and what needed to be improved upon for each campaign and message, from a quantitative perspective. After reviewing the various needs for the upcoming open enrollment period, it became apparent that one of the biggest costs from previous years, which would continue to be a need going forward, was urgent updates and new plan information throughout the enrollment timeline. Each update through the vendor was very costly and needed a significant amount of lead time, often forcing the organization to use different resources as a work around for their main platform. Understanding that more agility and ease of use was necessary in order to meet the needs of their employee population, having a solution that allowed for instant updates was necessary. Historically, all Open Enrollment communications were delivered via snail mail – costing the organization a lot of money in not only printing and delivery costs, but with having to send the materials several times to ensure receipt. By customizing the population’s needs based on reach, accessibility and metrics, we were able to cut-out almost all of the snail-mail delivery and transition into other, more effective channels for communication.